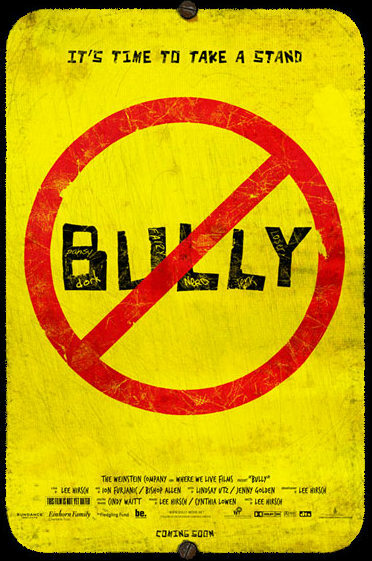 Bully is a documentary that was released in 2011 about bullying in U.S schools. Out of the film Bully came a whole movement called “The Bully Project.” On their website, they say their goal is to “stop bullying that is transforming kids’ lives and changing a culture of bullying into one of empathy and action.” Their website also has a ton of great resources to help students, parents, and teachers attack the bully issue in their school. My goal here is not to critique and share about the whole movement, but ti simply offer a review of the film Bully that started this whole movement. From the title of this post you will notice I’m am writing this review from a student pastor’s persecutive. The film follows a few students from a few different public schools across the country. It documents much of their being bullied and how they, and their families, respond to it. It also focuses on the death of two students who committed suicide after being continuously bullied at school. I know myself and this film are based on two different worldviews. As a Christian, I believe bullying is the result of our sin nature. The only way to stop bullying is not to create an awareness of it or punish the students who do it, but introduce them to Jesus who transform them from the inside out which will result in changed behavior over time (sanctification). However, this film doesn’t start with that worldview and that’s ok. I don’t expect them to start where I start or agree with how to prevent bullying because it’s not a faith-based or Christian film. Even though this film is not a faith-based film, I still enjoyed watching it and learned much about the culture of bullying within our school systems. I experienced a whole roller coaster of emotions as I watched this film. My heart broke for the students I watched get bullied for no reason other than how they look or how they act. I was filled with frustration at how they school staff just handled bullying by making the students apologize. I felt for the parents who didn’t feel safe sending their children to school anymore because of bullying. Lastly, as a Christian, I was grieved to see the brokenness of our world and people in it. I think the film did what it was made to do-give the viewer a glimpse into the bullying culture and show the devastating effects it has on students and their families. One of the reasons I watched this film was to see if I could use it in the future with the students, and families, in my ministry. After watching it and giving it much thought, I think I could, but with some noting some things that we disagree with or see differently as Christians who believe in the Gospel. However, this film can give students and their families a picture into the seriousness of bullying and start the conversation about what we can do about it within our own school system. Overall, I thought this film was very well made and is a needed tool in attacking the issue of bullying in our schools. If you have a Netflix account you should take an hour of your time and watch it on there. If not, make sure and rent or buy a copy of this film for yourself or family. You can click here to see more details about this film or click here to watch the trailer. Previous Post Guest Post: Are You Modeling the Christian Life for Students? I finally got the chance to see this film yesterday. Man, what a heart-wrenching reality of the bully-culture. What I want to know is how schools are approaching the bully’s parents/guardians…The reality is that a lot of bullies’ parents probably are apathetic and avoid confronting their teens, but I would surprised if that’s always the case. I wish there would be a follow-up documentary of sorts that gave a clear picture of what administrators are doing to help this. The picture given here is one of apathy and carelessness, almost like they’re afraid to punish…Glad to see organizations developing to fight bullying, though! I agree with what you said about his film. Out of curiosity, would you show this film to your students? Hmmm, I would definitely have to speak to the parents before concerning the language in a few parts if I did show it. Personally, I’ll probably just use it as a personal resource to consider when applying my Bible messages. Different churches would be more or less comfortable with showing “reality,” so I think it’s a matter of knowing the church. In my context, it probably would be best to show a clip or two.